We’re a dedicated team creating unique and powerful Premium Web Themes. Rascals Themes were officially founded in July, 2010. Our team has been specializing in website design and development from over 5 years. Our goal is to produce useful web themes that look good and are priced just right. 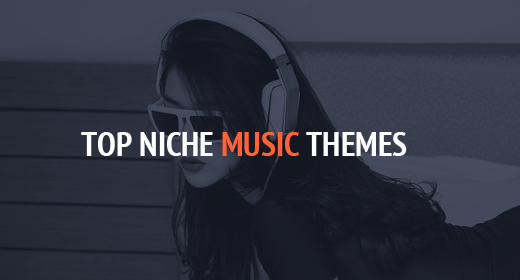 We offer a variety of themes – from agency portfolio to professional music themes. We are specialized in creating professional music themes with AJAX technology. We create totally new Premium Web Themes not available anywhere else. We continue to develop new themes and updating existing with new features and improvements. Just for the record: we provide theme assistance because we consider ourselves as proffesionals and not because it is required from Envato authors. We will do our best to answer all your questions and help you, but sometimes you have to be patient. Just for the record: we provide theme assistance because we consider ourselves as proffesionals and not because it is required from Envato authors. We will do our best to answer all your questions and help you, but sometimes you have to be patient. Modifications and 3rd party plugins are not subject to support – sorry. We focus on topics like installation and configuration of the theme, usage of theme features and potential bugs fix. We do not provide general WordPress support. Please refer to the WordPress.org forums for general WordPress support. Unfortunately, our support is not the best place for asking general WordPress questions. We’d happily answer every question you could throw at us, if there was enough time in the day! So we ask that you focus on asking theme-specific questions while seeking help. Make sure that you have read documentation which was in theme package – it contains useful information on how to install and use the theme. You may be familiar with our FAQ section too. Rascals Themes office is located in Poland (EU) and our working hours are 8:00AM – 4:00PM (GMT +1) on workdays (Monday to Friday excluding public holidays). Please be mindful of potentially slower response times due to time difference depending on your time-zone. We are committed to regularly updating our products. If you found a bug, please report it to our support team for them to investigate. Security related bug is fixed immediately and an update released as soon as practicably possible.